Hooked on Needles: 9-patch Scrap Quilt ~ So Close To Finished! 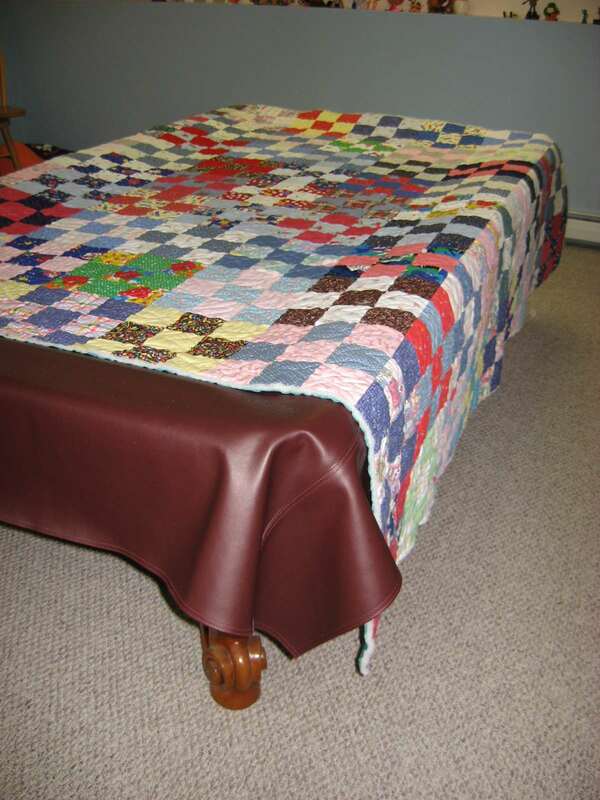 Way back in July of 2008, not too long after I started Hooked On Needles, I shared a picture of a 9-patch scrap quilt that I had put together many years earlier. It is made of leftovers from sewing I had done for my daughter and others over the years. You can read the story of that project HERE if you like. That quilt had been taking up a whole plastic bin in my sewing room for far too long, up until I pulled it out and brought it to my favorite long arm quilter. I had started hand quilting it years before, but knew I would never be able to finish, so Kathryn took a look at it and determined that she would be able to load it onto her machine and quilt it even though the quilting was already started. This was the second project she quilted for me, the first being my charity quilt, and I am pleased to report that it came out so great and I cannot wait to bind it and be done with it! 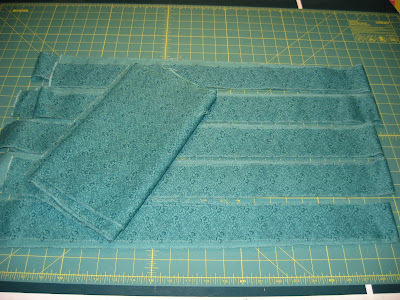 This is how it looked last week when I laid it out and trimmed off the extra batting and fabric from around the edges. It's a huge quilt measuring a little over 100 inches square! You can see that it is just a little bigger than the length of the playing surface of my husband's regulation size pool table! 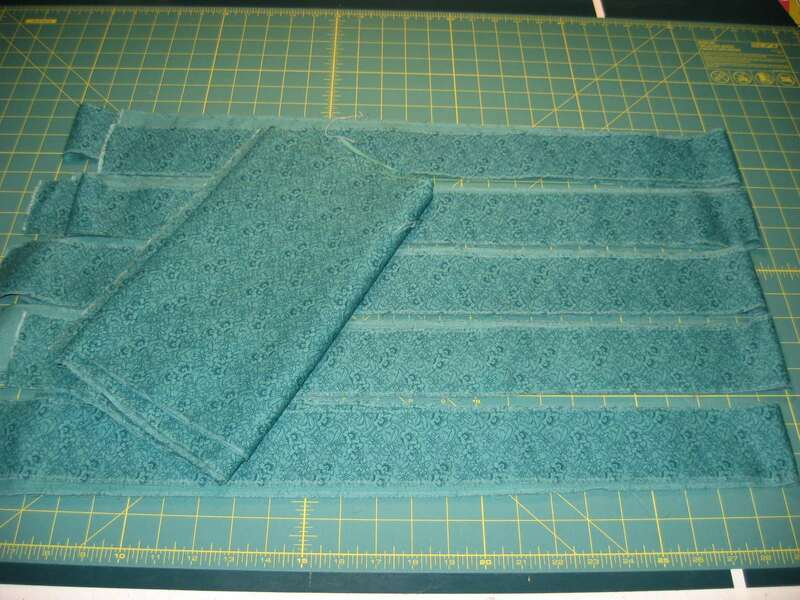 Here is the picture I took of it when I was layering it and pinning it way back when I had just put it together. This picture was taken in the living room of our old house which was a darling little ranch style house. This room was the only one that had enough floor space to accommodate this quilt, and only after moving all the furniture to the edges of the room! Notice the polyester batting too. 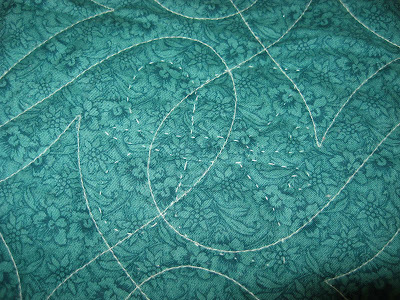 If I had not already done so much hand quilting on it, I would have removed this batting and replaced it with something newer like Warm and Natural. 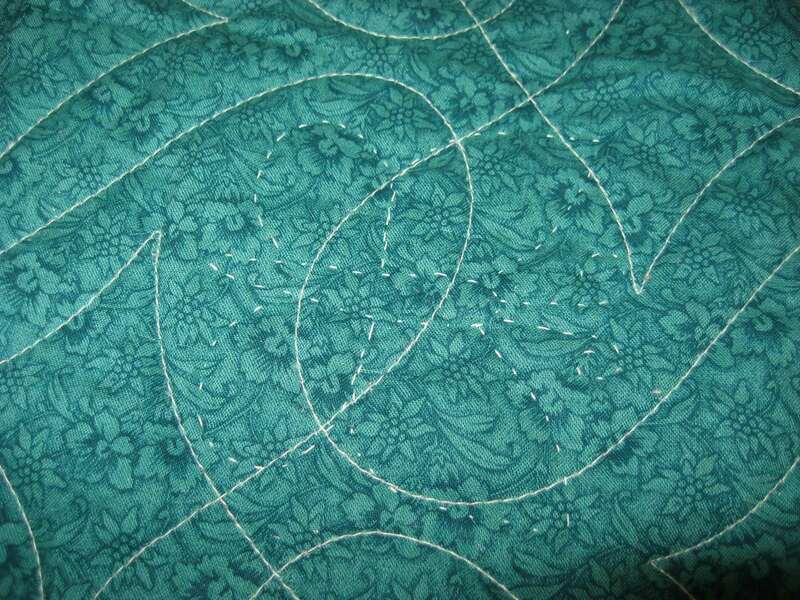 This is the back of the quilt where you can see the hand quilted butterfly there among the stitching lines that Kathryn did on her longarm. 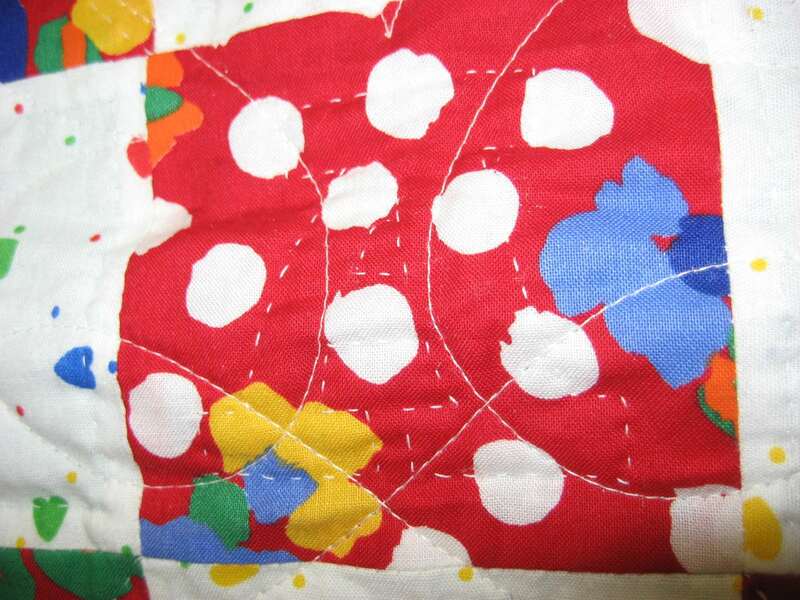 I had started quilting different designs into the center square of each 9-patch block, designs that were meaningful to Elizabeth, who was our only child at the time I made this quilt and whose leftover sewing fabrics this quilt is made of mostly. This is the very center square of the whole quilt where you can see that I quilted an A into it. My plan was to quilt her initials in the center of the quilt, and her middle name is Anne, so that's why it's in the center square! By the way, that red print fabric was leftover from the cutest little summer shorts and shirt outfit I made for her when she was little. Very bright and cheerful! So here we are in 2011, more than 15 years after I started cutting my leftovers into squares and piecing them together for this quilt. I went through my stash to see if I could find a fabric that would be suitable for binding this quilt, and in the process I kept remembering the story in the Bible where Jesus recalls, most likely having learned from his own mother, about not stitching new cloth onto old cloth for fear of the old cloth ripping even more. So it occurred to me that there was probably plenty of extra backing fabric from around the edges of the quilt to cut strips for binding. 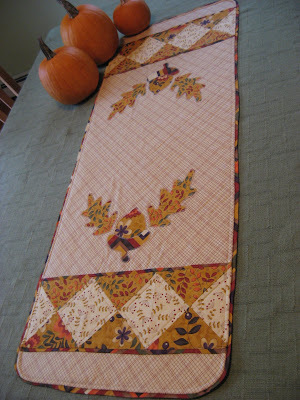 So I ripped 2 1/2 inch strips from the extra backing fabric and will use that to bind this old quilt. Whew! I'm hoping someday very soon to show you pictures of this quilt completely finished and ready to present to my daughter. It's nice to have one more plastic bin in my sewing room now empty! Amazing - this quilt will be a precious keepsake for Elizabeth - she is a lucky girl to have you as her mom! Oh my gosh!! I love that story!!! and all the fabrics have such a meaning, she will love it so much. 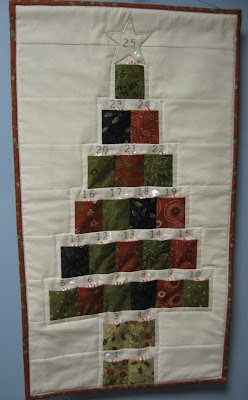 I think it looks great with both kinds of quilting on it. Glad you did not remove yours. I have one spot in my house too that I can use if I also puch back all the furniture! Great idea for the binding. Kudos to you and Kathryn for the finish. What a treasure for you (and Elizabeth) to have.